The chilling winter is gone and now summer has already entered our drawing rooms. Like every year, the mercury levels would break the records of the yesteryears. So, you got to take precautions beforehand. You must have an umbrella, sunscreen lotion, face cleanser, scarf, sunglasses, etc. always in your handbag to save yourself from the summer heat. But what about your home? There are fans and air conditioners but nothing can match the natural coolers which are plants. The households where there are more plants are comparatively cooler than the ones which have no or scarce plants. For a better and healthier future, you must bring more plants to your home. Houseplants or indoor plants absorb hot air and release oxygen. Through the transpiration process, moisture is also released in the atmosphere. And that’s why they make the atmosphere cooler even during sultry summer season. 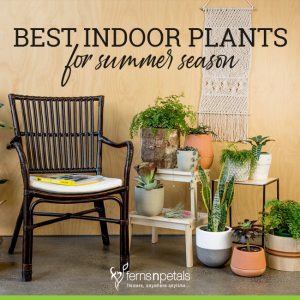 Here is a list of some plants that you can bring indoors as they will keep your home cooler. When the summer temperature is soaring high, rubber plant can be really helpful in cooling your home. 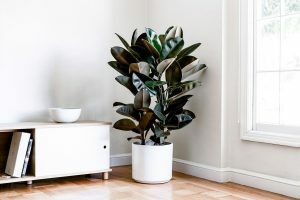 The leaves of a rubber plant are broader and bigger and that means more moisture would release into the atmosphere and make your home cooler. Rubber plants can grow up to 30 cms and they have a thick stem and fleshy leaves. So, this plant has the power to retain water in its roots, stems, and leaves. 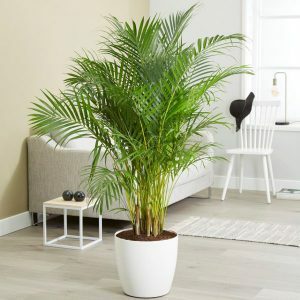 Keeping this plant in your home will improve the humidity and have a cooling effect in your room. Just make sure it receives filtered sunlight and some water when the soil is dry. Areca Palm is one of the most refreshing plants to bring in your home this summer season. Golden cane palm, yellow palm, or butterfly palm are some other names of this plant. You can grow it as an ornamental plant in your garden or lawn or bring it inside in case there is a lack of space outdoors. As per Dr. B. C. Wolverton and Clean Air Study conducted by NASA, Areca Palm is the plant that filters xylene and toluene from the atmosphere. An Areca Palm of 1.8 m or 5 ft 11 inches of Areca Palm plant can transpire 1 liter of water per day. Isn’t that an amazing humidifier? Aloe Vera is a famous houseplant and it is found in tropical climatic zones. The long pointed green leaves bear gel inside them which has many uses. During the summer season, this plant may give rise to flowers too. 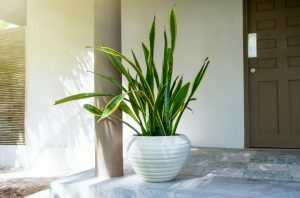 This plant reduces the hot air and also removes all toxins from the air like carbon dioxide, formaldehyde, and benzene. Aloe Vera plant has good transpiration rate and that humidifies the room. 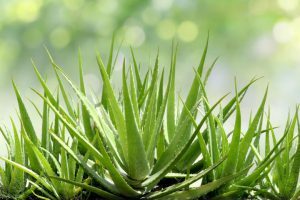 Aloe Vera plant also releases oxygen at night and that provides a sound sleep even when the weather is extremely hot outside. Ficus benjamina is the scientific name of weeping fig or Benjamin fig or ficus tree. This is a leafy and bushy plant that grows very well indoors. Due to its bushy or closely placed leaves, the transpiration rate is high and that cools the room wherever it is kept. 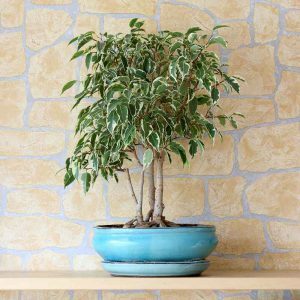 Bring the tall trunk with bushy top weeping fig plant home and see how cool your summer days become. Just don’t forget to water this plant regularly and provide medium light. The scientific name of Snake plant is Sansevieria trifasciata. The other names of this plant are mother-in-law’s tongue & viper’s bowstring hemp. Mostly the tropical regions of the world have this plant. This is one of those plants that release oxygen at night and thus helps the air to remain clean and cool both. It removes nitrogen oxides, carbon dioxide, trichloroethylene, and toluene from the air. It requires moderate water and good sunlight to prosper.